The Wendy Hare a teacher and past school Principal heads this ministry with both passion and sensitivity to the leading of the Holy Spirit. All our Sunday School teachers have a Working with Children's Check. The Men's Ministry is headed by a team of MEN: Roland Sleep, Richard Poulton, George Morris. The ministry seeks to instill in men the need to be a leader and a servant - courageous and resistant to the Devil and temptation - that men might live in victory for Jesus! Young Adults seeks to gather together young people to stir in each other a passion for righteous and Godly living. The ministry is headed by Emmanuel and Sharon Harmon supported by an 'inner circle' of Young Leaders! 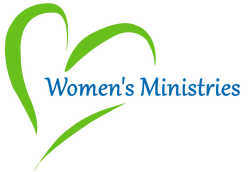 The Women's Ministry is led by Beulah Van Wyk and a team of other ladies. They meet to be refreshed, and renewed in the presence of GOD having fun and enjoying each others company. Kingdom Health Ministry is headed by Adenola Adeleye and his team. The ministry highlights both practical and biblical strategies toward living a healthy life. The team regularly presents strategies of how to overcome sicknesses through the power of GOD! ​The team is headed by Ps Natasha Van Wyk. Our worship is refreshing, and energizing and prepares our hearts as well as inviting GOD into our midst. Bernie and Carmen Rodrigues heads the International Ministry. 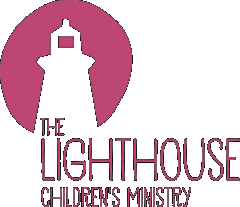 The White House Community Church is strongly geared towards missions. We are partners with Compassion Australia supporting orphans in the Phillipines. We also support orphans in Uganda and India. We partner with Create Ministries in Thailand and support our sister church in Israel working with the less fortunate there. Christine Herren has many years of experience as a support worker with the Department of Education. She is able to support young people and families work through a large variety of issues. Through the church Christine can offer a great deal of family support such as finding accommodation, linking families with support agencies, supporting people at meetings, providing advice on life issues, helping with transport, food hampers, assisting immigrants and much more. 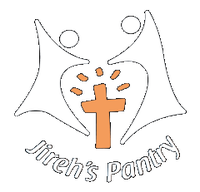 Jireh's Pantry is the Church's pantry which is filled by voluntary donations of money and food by dedicated people of the church in order to help our mission of "People Caring for People". ​Senior's ministry for the young at heart is aimed at those over 60 connecting seniors in love and compassion as Jesus said: “By this all will know that you are my disciples, if you have love one for another”. ​Tom and Peita Bollard head up this ministry. We meet on the 5th Monday of the month, Good Friday after church, and other days slotted in approximately 6 weekly for fun and fellowship aimed at encouraging each other in our walk with the Lord and welcome friends to join us. We are a group of trained prayer ministers, who pray for healing for the sick. We have seen the healing hand of the Lord at work in the lives of those who come for prayer. We do not only pray for physical illness but also for spiritual and emotional healing. We pray for those whose burdens are heavy and where life is a struggle. ​​We meet on the 2nd and 4th Saturday of each month from 10 am to 12 noon. The White House Youth ministry, headed by Sam Shyllon, carries out the mission that Jesus gave to every believer in Mathew 28:19-20; that is to go and make disciples. For this reason, the activities of the youth ministry are centred around teaching the word of God to youth. We meet weekly on a Thursday night (7-9 pm) during the school term and is targeted at youth from grades 7 to 12.